Coffee of the Month Club, just the thing to get your coffee lover for Christmas, birthdays or just because. This is a gift that keeps on giving all year round. 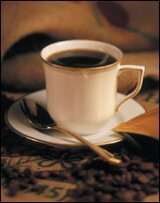 There are dozens of Coffee of the Month Clubs to choose from. All different flavors and price ranges to suit everyone's taste buds and budget. Discover new coffees from around the world every month. 6 Month Flavored Coffee Club by Coffee Anyone??? Every other month we will ship 2 - 12 oz. packages. 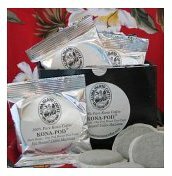 The GOLD and PLATINUM Clubs are a great way to enjoy two 100% pure estate Kona coffees. 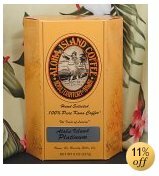 The first month starts with one 8 oz of our GOLD 100% pure Kona coffee and for the second month we ship 8 oz of PLATINUM coffee. Each month there after alternates between GOLD and PLATINUM, with a total shipped of 3 months of GOLD & 3 months of PLATINUM. Our GOLD coffee is smooth, rich, and full-bodied. PLATINUM is a mild, mellow coffee and is from the highly prized 'Peaberry' coffee beans.